This is one of the HEA seminar series on assessment and was well attended with some enthusiasm from participants. There was a real mix of traditional and innovative assessment approaches presented inlcuding examinations, MCQs, scenario based assessment, use of research folders and lecture casts and these were sometimes combined in the same programme. 1. Carl Gombrich, Philosophy: Use of a lecturecast send to students in advance with students posting questions they would like answered online and voting on the most popular questions which then got answered in the taught session. Although based on transmission -the lecture- the student questions were interpreted as self-formative assessment. 2. Chiara Ambrosio, History of science module students researched a topic which could be a continuation of something a previous student had started reseraching. The aim was eventual publication of the research. A research folder was presented for summatuve assessment -like a portfolio. Students also had to read to read others’ projects and were tested on these in an exam which seemed a bit incongruous to me but seemed to work. So there was a clear link between peer formative assessment and summative assessment. A student joined the presenters and was very enthusiastic about the assessment approach. 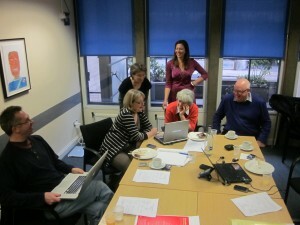 See outputs soon at http://www.heacademy.ac.uk/events/detail/2012/seminars/themes/ts049_ucl. This entry was posted in External events on February 23, 2012 by gwynethhughes. The project team led by Gunter Saunders at Westminster have developed a tool – e-Relfect-for linking feedback, self-review questionnnaires and student reflections on this in a learning journal supported by tutorials. The principles behind this tool fit well into our AC framework for this project. It all depends on the quality of feedback from staff and it is not clear whether or not using the system encourages staff to reflect on the feedback they give – there are still QA issues for MAC to address. Nearly all those participating in the seminar voted that a strength of this system is encouraging feedback dialogue and reflection over a whole programme. This fits again with the AC longitudinal approach. Also this tool is for undergraduates and the Y/N questions in the questionnaire might not be so well recieved by PGs who might expect something more sophisticated. MAC is worth looking at for the pilots even if we did not use the toolkit in its present form. This entry was posted in Meeting on February 3, 2012 by gwynethhughes. 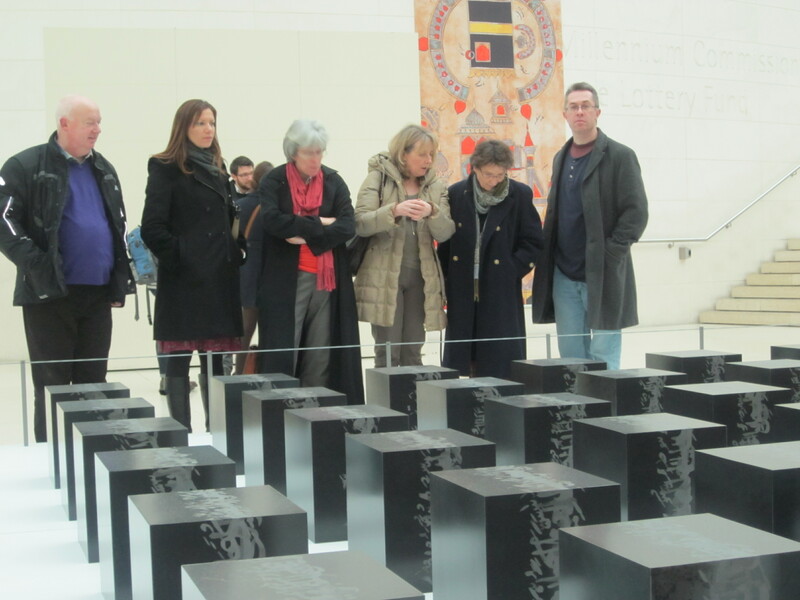 A brief visit to the British Museum after lunch. This entry was posted in Meeting on February 1, 2012 by gwynethhughes. 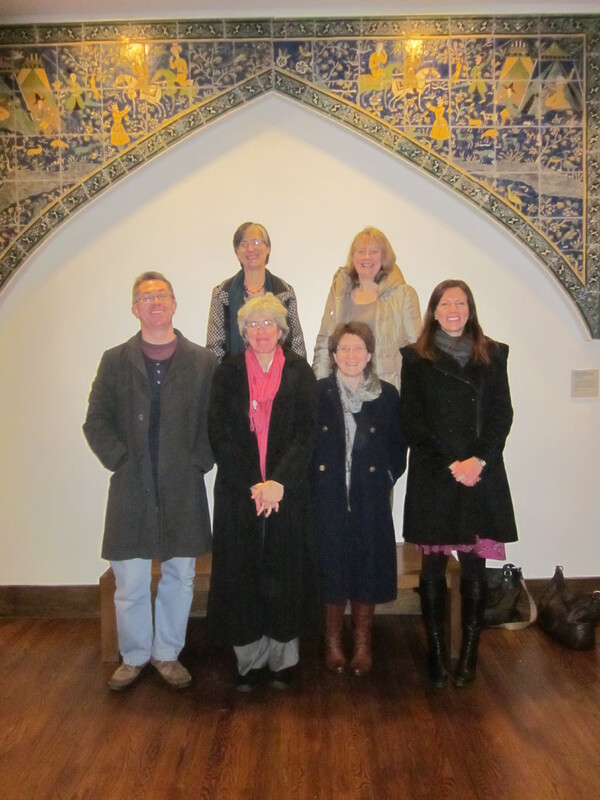 The Camel group for our project which includes Manchester Metropolitan University, Dundee and Queens University Belfast as well as the IOE met with our critical friend Peter Chatterton on 26.1.12. This entry was posted in Meeting on January 27, 2012 by gwynethhughes.